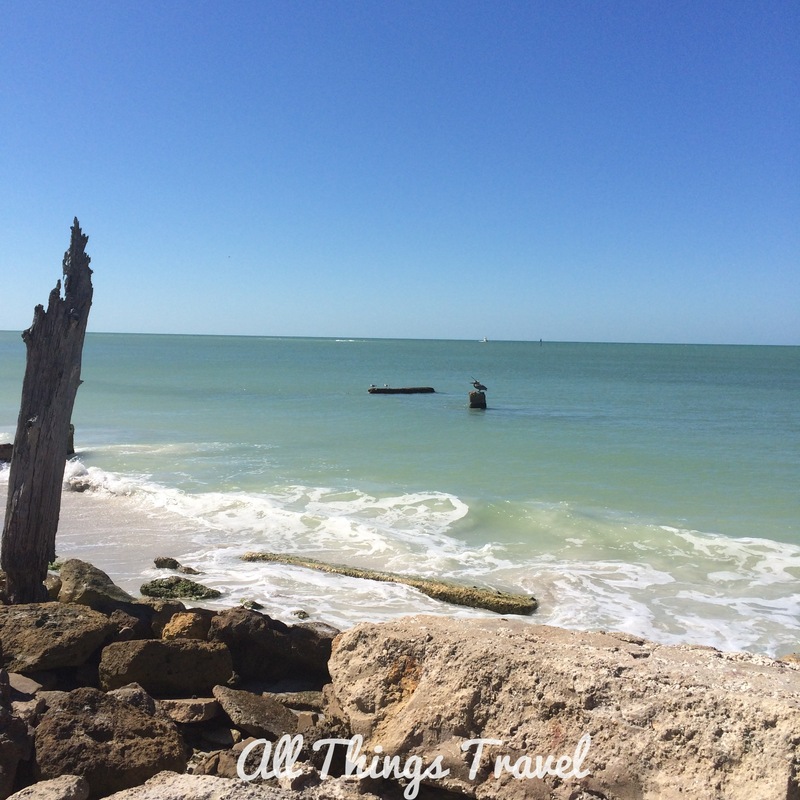 If you’re looking for a great escape from cold and snowy winter weather, Siesta Key, just off Sarasota on the gulf side of Florida, has to be a strong contender. You may think it’s a little early to plan now for winter but I just made my reservation for March, 2015, and it was already a challenge to find a place. Everything is booked! Well, not literally everything but it seemed that way to me. This will be my fourth spring break at Siesta Key and by now, I believe I’m somewhat of an expert. With sand as soft and white as powdered sugar, this wide beach proclaims itself the #1 Beach in the USA and I wholeheartedly agree. Just look at that sand. It’s 99% pure quartz which explains why it’s soft, white, and cool underfoot even when temperatures soar. They know what they’ve got here, too, so don’t expect any deals during March. It’s pricey but some places are worth it. Every year I meet my childhood bestie, Gail, at the Tampa airport and we drive south in a rental car to spend a week on this idyllic island. 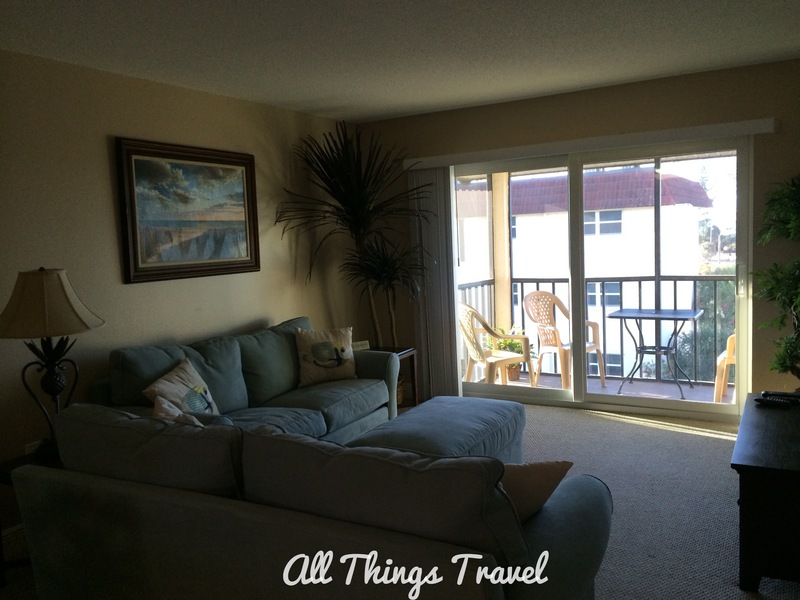 Last year we discovered La Siesta Condominiums, stayed there, and now we’re hooked. We wanted to book again for 2015 but due to some miscommunication, it looked like that wish might be thwarted. In the end we got it resolved happily and while we don’t have the condo we had last year, we are still in the complex. 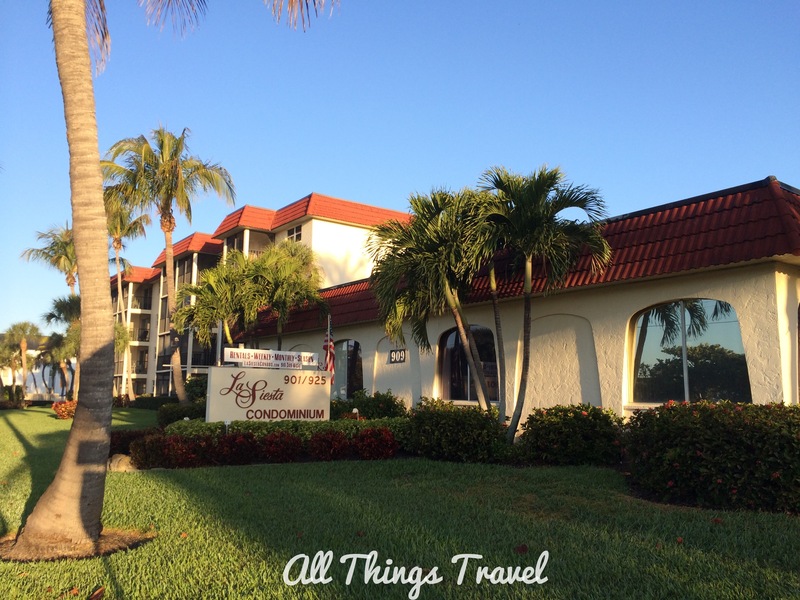 The location of La Siesta Condominiums on Beach Road across from public Siesta Beach is perfect for us. The public beach is well-kept; it’s cleaned and raked every morning with big motorized vehicles nicknamed sandbonis. Lifeguards on duty year round ensure a measure of safety for swimmers, not that I spend much time in the water. The beach is popular and the parking lot is full by 10 a.m., so it’s great to just walk across the street and not have to fight for a parking place. We noticed construction underway of an additional parking lot last spring, however, so that problem may be alleviated for next year. I’ll keep you posted. 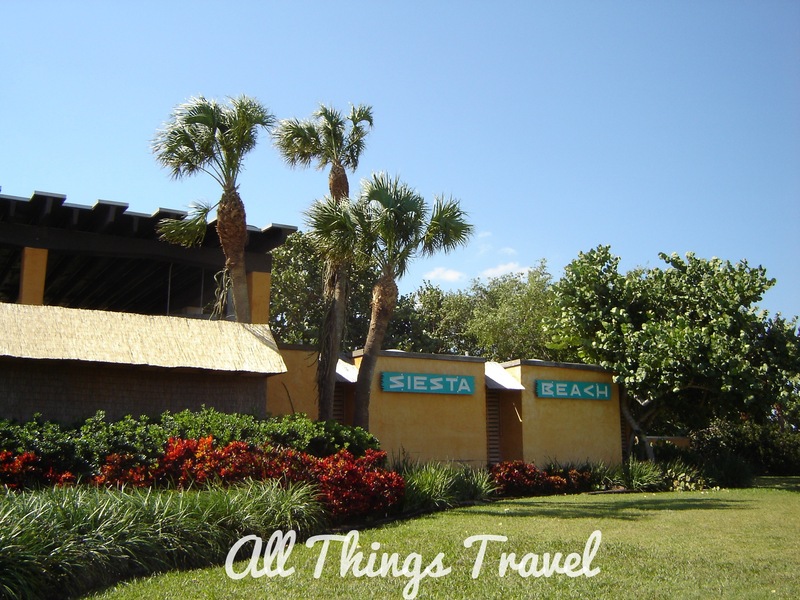 Many amenities other than swimming and sunbathing are available at Siesta Beach. There are restrooms, showers, a concession area, picnic areas, and shady places to escape the sun. We attend pilates, nia, and yoga classes in the morning right on the beach and they have a drum circle on Sunday evenings an hour before sunset. The sand volleyball courts get a lot of use especially by the young people. This location is close enough to walk into the village for coffee or groceries or you can just walk the beach for exercise or pleasure. 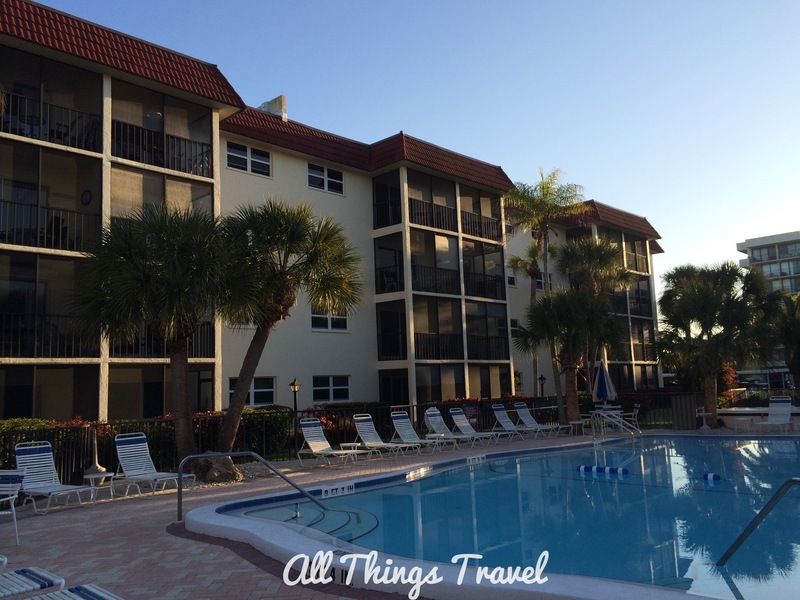 If we don’t want to go to the beach, we can always enjoy the pool at our condo complex. The pool is never overly crowded and the other guests seem to be mostly retired couples from Ohio and Michigan. The screened in lanai off each condo is a perfect place to have breakfast and lunch and keep an eye on the action below at the pool or get a sliver of a view of the gulf across the street beyond the beach. 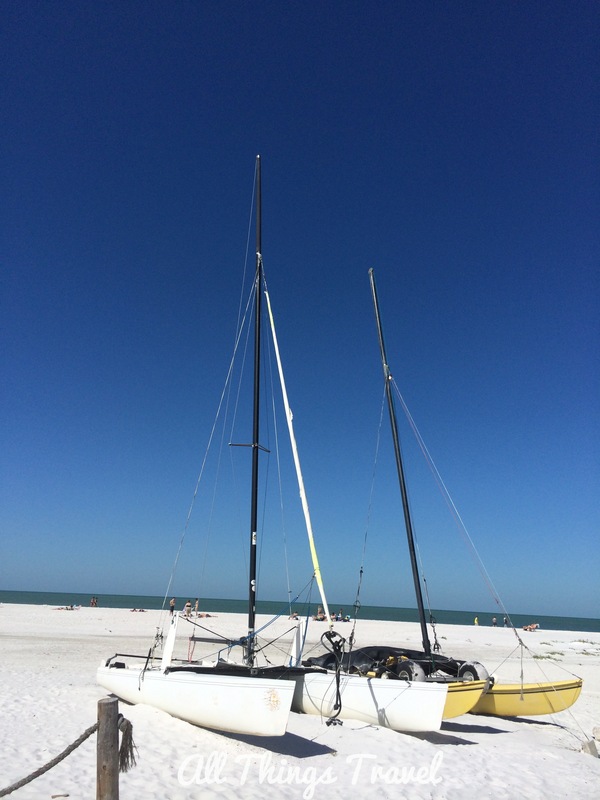 Aside from just hanging at the beach or pool, there are rentals around Siesta Key for boats, kayaks, and paddle boards. 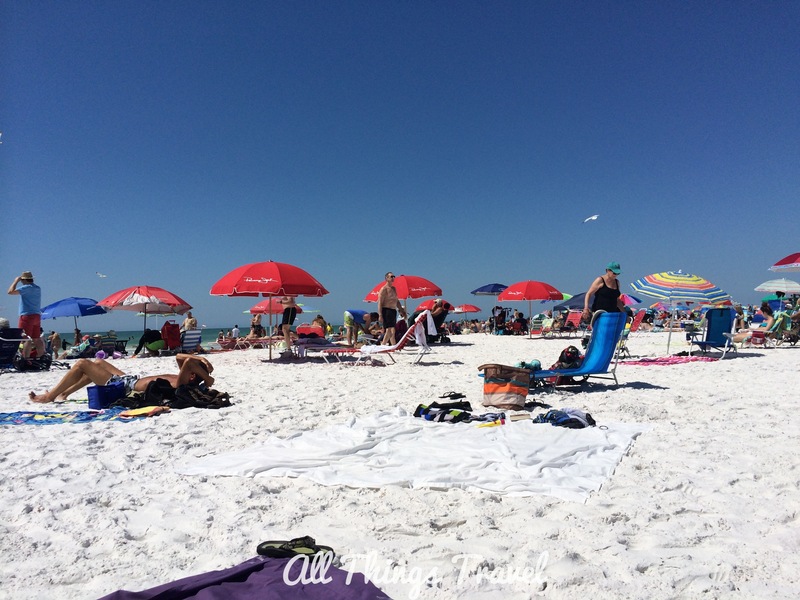 Last year we tried paddle boarding and found Dan from Siesta Key Paddle Boards to be very helpful and accommodating. He met us at Turtle Beach with the boards, gave us a lesson, and provided a map and directions to navigate the canals lined with mangroves to another beach and back. Dan was there waiting to take the boards upon our return. I’ll warn you, however, mastery was much easier than recovery. I had no idea how hard I was working until my lats killed the next day… and the next. After all that exercise, a girl’s gotta eat and there are plenty of good restaurants on Siesta Key. Gail is a bona fide foodie so I usually trust her with restaurant decisions. One of my favorites for local grouper, however, is Turtle Beach Pub. I can get my fish grilled or blackened and avoid the gluten in the fried grouper. 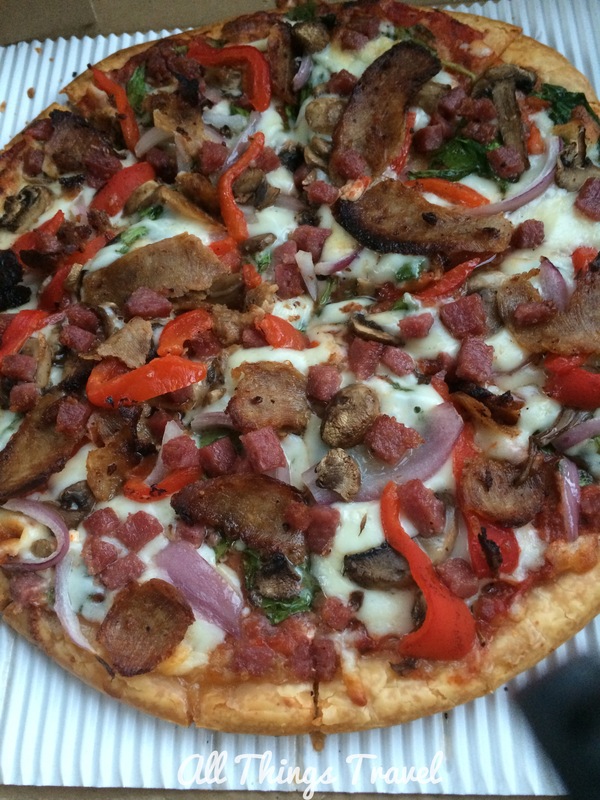 Also gluten-free, in 2014 we discovered Vertoris Pizza House in Bradenton. They make the best gluten-free pizza EVER. But my new favorite restaurant has to be Owen’s Fish Camp in Sarasota. “Owen’s Fish Camp is southern country-style restaurant set in a cool, comfortable, urban setting,” according to their website. (I think they forgot the word “a” before southern but maybe that’s a southern thing.) My roots are southern so I was immediately intrigued but Gail was doubtful, not being a fan of southern cooking. In the end, we decided to give it a try, and the non-foodie (me) scored one. We both loved it along with all the other people who crowded into the place. Fortunately, they had live music to entertain us while we waited to be seated and The Cadillac Grainer String Band played foot stomping hillbilly blue grass string band music that was a whole lot of fun. But let’s face it, restaurants are ultimately about the food and the food at Owen’s Fish Camp is excellent. I had the market fish of the day (it was local but I don’t remember what it was), blackened, with two sides. 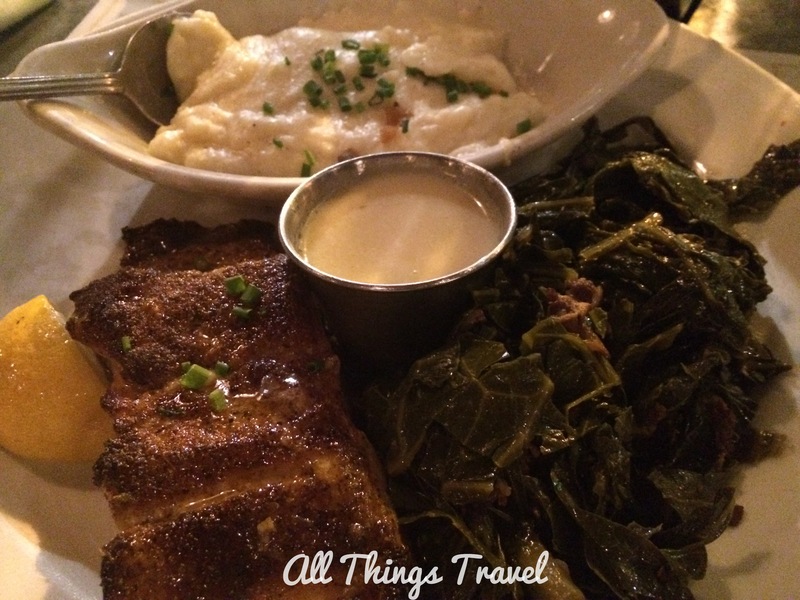 I chose cheesey grits and collard greens. Mmmm, good. 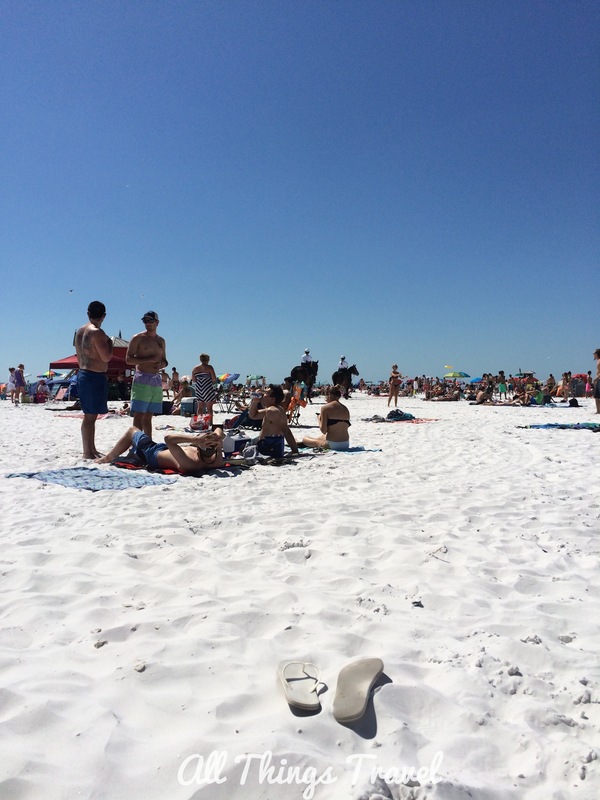 So, I told you I think I’m somewhat of an expert on Siesta Key. Here’s what I know. Most vacation rentals give first preference to last year’s return renters. Rental websites are not always reliable so give them a call. Turtle Beach on the south end of the island sand is not the soft white quartz. It’s brown, coarse, and ordinary. 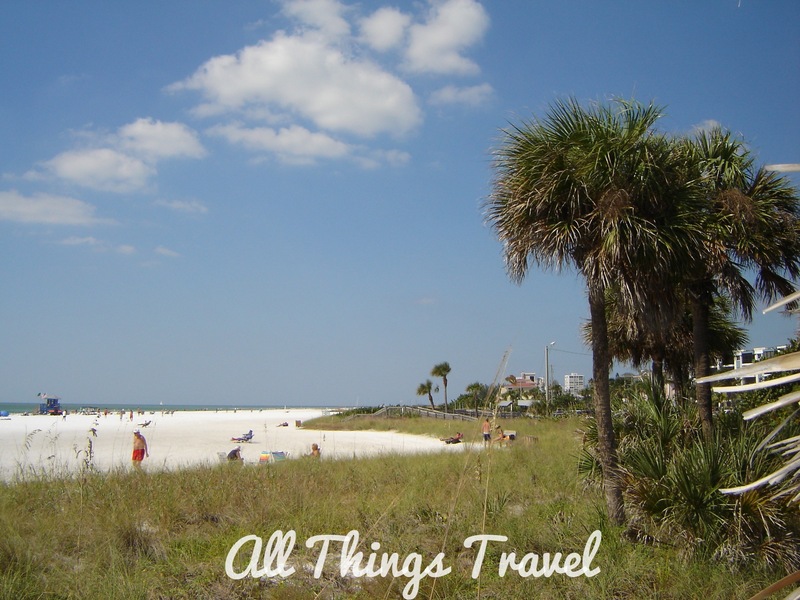 Siesta Beach and Crescent Beach are quartz sand. Rentals only provide one roll of toilet paper (2 if you’re lucky) so plan ahead and don’t get caught short. Ooooh….I want to go! Right now!!! 🙂 Great travel tips and perfectly wonderful pictures that make me want to be right there on that lovely sand. Thanks for sharing. We are in the process of planning a Christmas trip so this might be one place we have to look at for some later vacation!